Spring in California has been interesting. We went from the high 80* to wind, rain, thunder, lightning and low 50* weather in one week. Don't fear - the sun showed the next day - and we expect another dose of rain this week, so who knows. 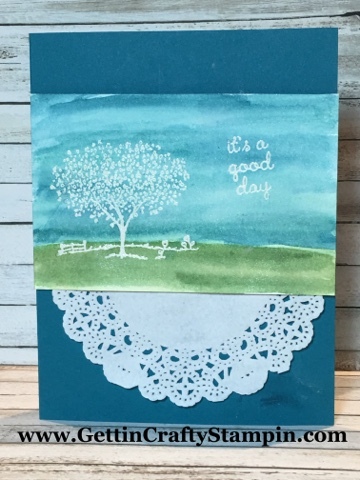 Created in a recent card making class, this was a fun and easy card to do in honor of Spring. Join Us and create pretty works of art, wrapped up in a hand-crafted card while having fun and connecting with others. This is a fun Emboss Resist technique. 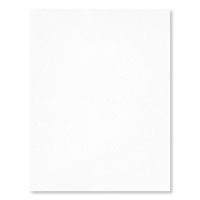 Created easily on the Shimmer White Card Stock. Technique: When you want to create this unique look do so with an Emboss Resist technique. 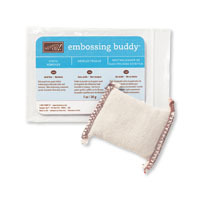 ~ Cover the surface of the card with the Embossing Buddy. 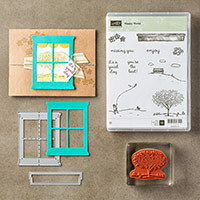 ~ Stamp the surface with the VersaMark ink pad and the Happy Home stamp set. 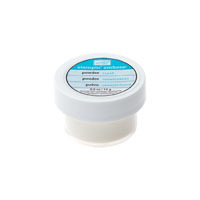 This can be BUNDLED and Save 15% when you score the cool Hearth & Home Thinlits Dies. 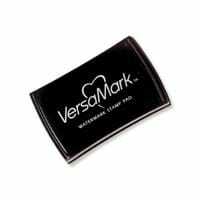 ~ Cover the stamped image with the Clear Embossing Powder, Shake off and Heat Set with the Heat Tool. It will be hard to see the image so hold IN the light to see that it is reflecting well and heat set. 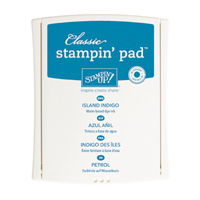 ~ Paint the surface with the Island Indigo and Garden Green ink pad using the Aqua Painter. Add extra ink/color behind the embossed area, like the leaves and the words to make sure they pop. 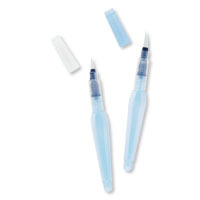 ~ RUB the Surface with a napkin or cloth to remove any wet ink that sits on-top of the embossed surface. Like magic - the clear will appear white and shimmery. 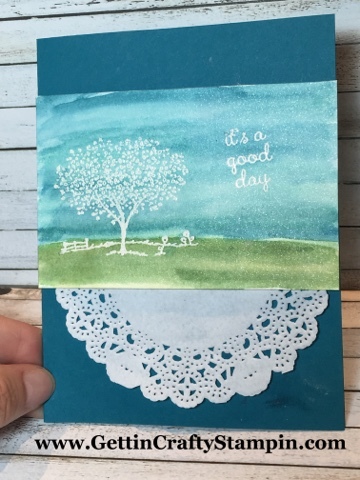 Tool Tip Tuesday: Create this cool look with the Embossing and Emboss Resist Technique. 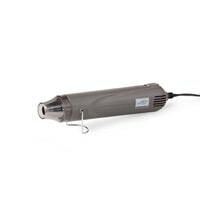 To obtain the BEST Embossed image you need to use an Embossing Buddy before every heat emboss. 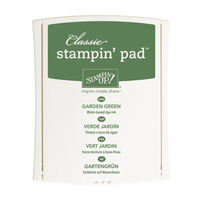 Simply rub the surface of the card stock BEFORE stamping with Versamark Ink. 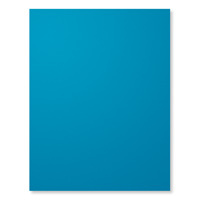 This will help the surface to hold only to the stamped image and not residual oils or static of the card stock. 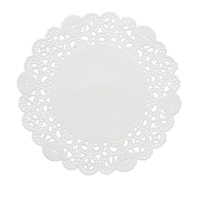 A delicate doily (cut in half), a pretty Spring scene and a cool techinque come together for a fun and easy card to create. Created at a recent card making class, the ladies had a blast connecting over crafting these hand-made cards. 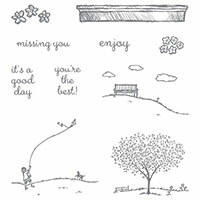 Send a hand-crafted card to celebrate any season - no matter where someone lives (snow or sun, all can enjoy this pretty hand-stamped card).